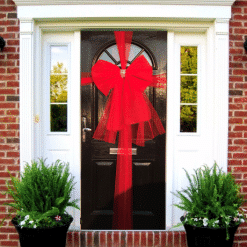 Select a colour from our selection of bow colours….. 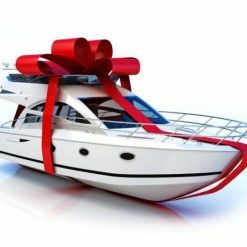 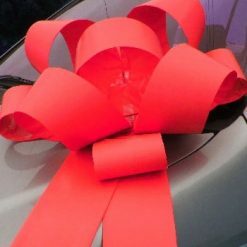 This bow can be delivered quickly – made of card, with a magnet on the reverse to hold into place this card bow is a generous 115cm from top to bottom of the tails, the loops sit approximately 20cm high and from wing to wing this big bow measures 75cm – great for car bonnets, windscreens and extra large gifts. There are numerous colours available and this bow can also be made in a combination of colours. 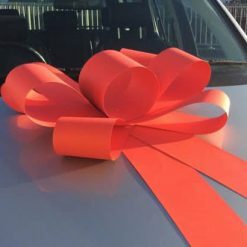 If you wish to wrap your car do this first. 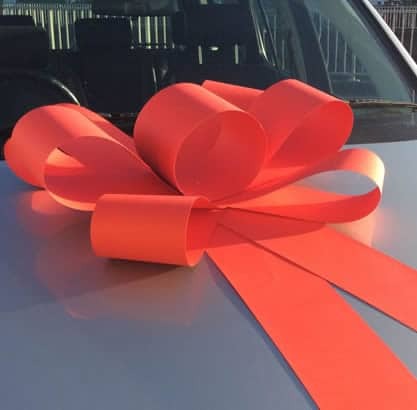 Ribbon to wrap the car can be found here. 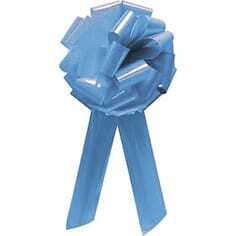 We like to use a sharp pair of scissors and cut the ribbon into a fishtail shape for the perfect finishing touch. 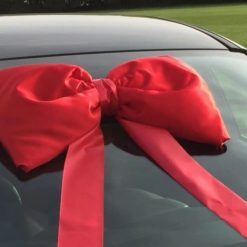 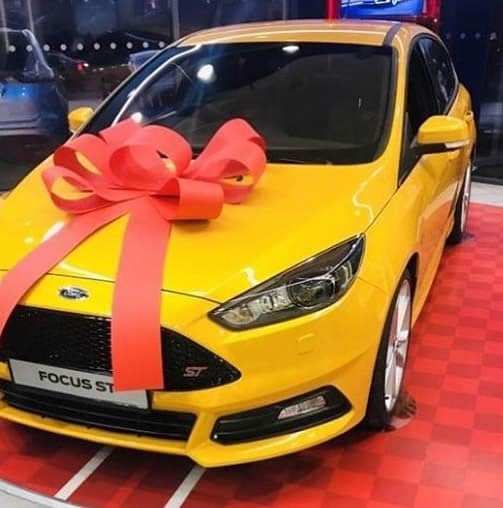 Wrap the car from bonnet to boot – ribbon can be tucked into the bonnet or boot or can simply be draped over the car depending on the weather. 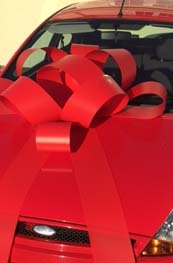 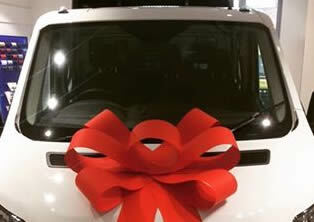 Then taking a second piece of ribbon place over the car either across the bonnet or roof. 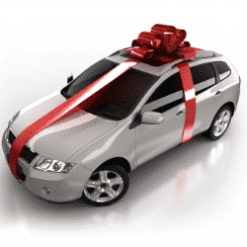 Take car not to place over the drivers seat – the first thing everyone wants to do is jump in the car ! 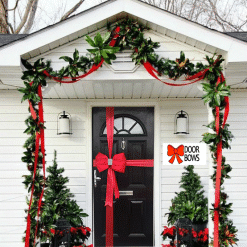 Where the ribbon crosses attach your bow – if you can wrap a box you can wrap a bow. 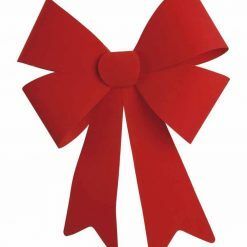 All of our bows arrive ready to use, either with a tie on the reverse or a magnet. 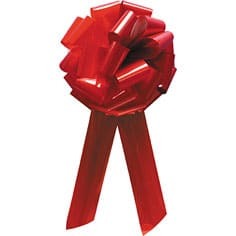 This will be shown in the description of the product. 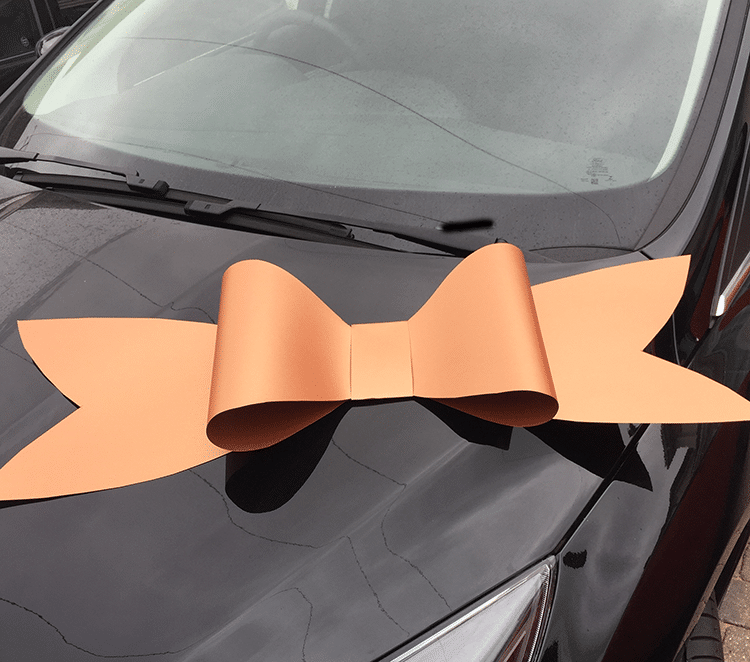 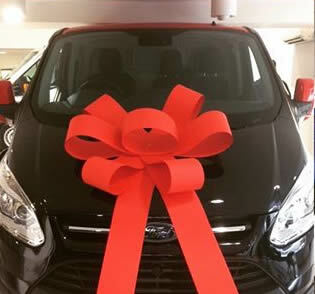 Simply take the bow out of its protective bag and place directly onto your car bonnet or roof. 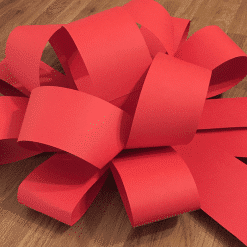 When you are finished with the bow – remember to send us picture – the bow can be placed in recycling or stored for the next big gift.